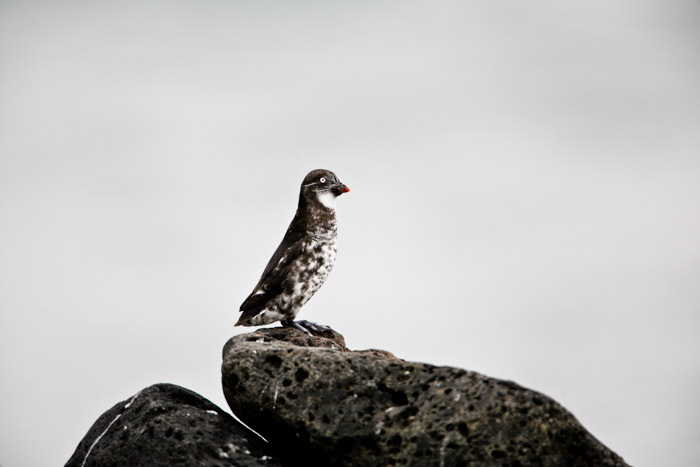 Least Auklet perches on this rock blending into its environment. Saint Paul is home to numerous sea birds. Photo © copyright by Lance B. Carter.